Pick up a Citibike on the corner of Avenue D and 6th Street and take the pedestrian overpass into the East River Park/Promenade. 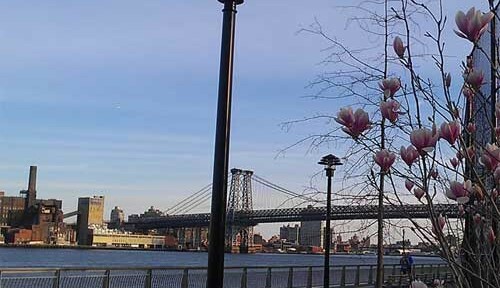 As you head south along the promenade you’ll see parks and fields on your right, the East River to your left, and a stunning view of the east side bridges, the Statue of Liberty, and Wall Street ahead. When the promenade ends, continue south under the elevated FDR drive. Here you’ll see residents from nearby Chinatown fishing, socializing, and sometimes practicing tai-chi. You’ll pass underneath the Manhattan and Brooklyn Bridges. Be sure to take a moment and enjoy the perspective. Optional Detour 1: Take the Manhattan or Brooklyn Bridge across the river. There are plenty of bike stations near the water. 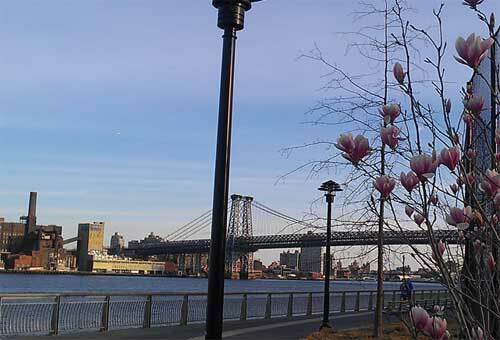 Enjoy a leisurely stroll through DUMBO and/or Brooklyn Bridge Park. STOP 1: South Street Seaport. South Street Seaport is a popular tourist attraction for dining and shopping, but you can also just take a stroll through the piers, enjoy views of the Brooklyn and Manhattan bridges, and check out the old ships docked there. Battery Park, at the most southern tip of Manhattan, offers up a combination of beautiful gardens and views, and historic monuments. Enjoy a leisurely walk through the park to take it all in. Optional Detour 2: Take a ride on the Staten Island ferry. It’s completely free and offers great views of the Statue of Liberty and Downtown NYC from the water. 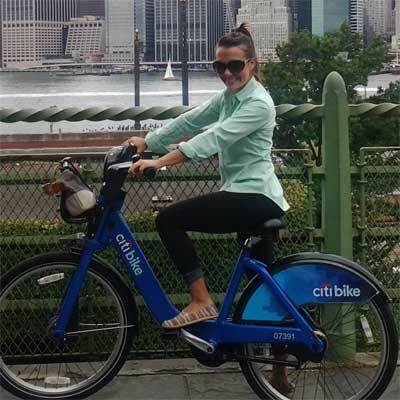 After your trip through the park, come back to the Citibike station and take a bike around the loop of lower Manhattan until you start heading up north on the West Side. You’ll bike through Battery Park City, a really lovely promenade along the Hudson River complete with bridges and covered walkways. You’ll also pass by the World Financial Center and all the enormous yachts docked outside. 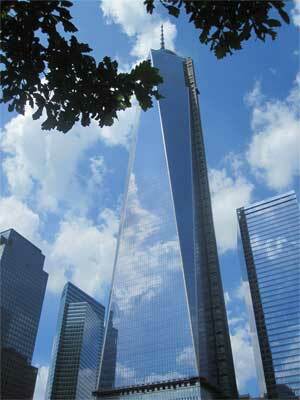 Option Detour 3: A few blocks inland from One World Plaza is the site of the World Trade Center Memorial. If you chose to go, get tickets online ahead of time so you don’t have to wait in line when you get there. It’s very nicely done and quite moving. The Highline is a public park built on an historic, elevated freight rail line. End your day enjoying a walk in this unique park and watching the sunset over the Hudson.